Background. Spinal brucellosis continues to be the leading cause of morbidity from infectious disease in the infested regions of the world, particularly in the rural areas including Turkey. The purpose of this review was to present the Turkish experience by analyzing the literature on the management of spinal brucellosis during the last century. Materials and method. To establish new guidelines for the diagnosis and treatment of this disabling health problem, publications reported from Turkey in national (n = 27) and international (n = 37) journals during the last century and databases containing medical literature were analysed. Results. It was observed that the number of articles produced by Turkish authors regarding spinal brucellosis has tremendously increased throughout the study period. Although the total number of reported cases with spinal brucellosis from a total of 34 secondary or tertiary referral centers in Turkey was 452, only cases having detailed information were evaluated for further analysis according to inclusion/exclusion criteria. Despite the inherent limitations, this type of study clearly indicates that the incidence of brucellosis has not decreased in Turkey over recent years. The clinical and radiological findings of brucellosis involving the spine were mostly atypical and it was difficult to diagnose this infectious disease owing to its nonspecific and variable clinical picture. Therefore, it may easily lead to a misdiagnosis of lumbar disc herniation or other spinal infections and a high index of suspicion is required to diagnose this condition in endemic parts of the world. In addition to serological tests, CT and/or MRI techniques were found to be sensitive for diagnosis and follow-up because they provide early diagnosis of lesions involving the spine and more accurate localization of intraspinal and paraspinal infestation by means of multiplanar images. Histologically, noncaseating granulomatous tissue and chronic inflammation were characteristic features of cases of brucellosis with spinal involvement. Conclusions. 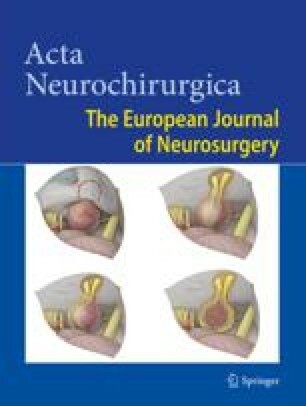 Based on this critical review of literature from Turkey, it is concluded that early diagnosis and correct management are important to prevent the harmful effects of brucellosis and its complications, and that the treatment of choice is antibiotic therapy alone in most cases of brucellosis involving the spine. Keywords: Spinal brucellosis; radiology; spondylitis; spinal surgery; antibiotic therapy; Turkey.